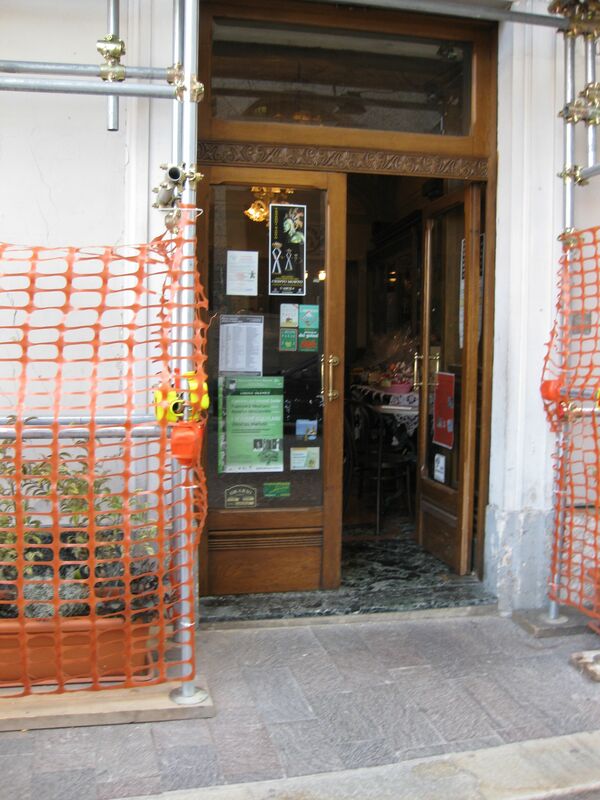 On December 8, 2009 Bar Fratelli Nurzia, the lovely dark wood and marble retail home of Sorelle Nurzia torrone, reopened its doors. It is one of three business open on Piazza del Duomo. 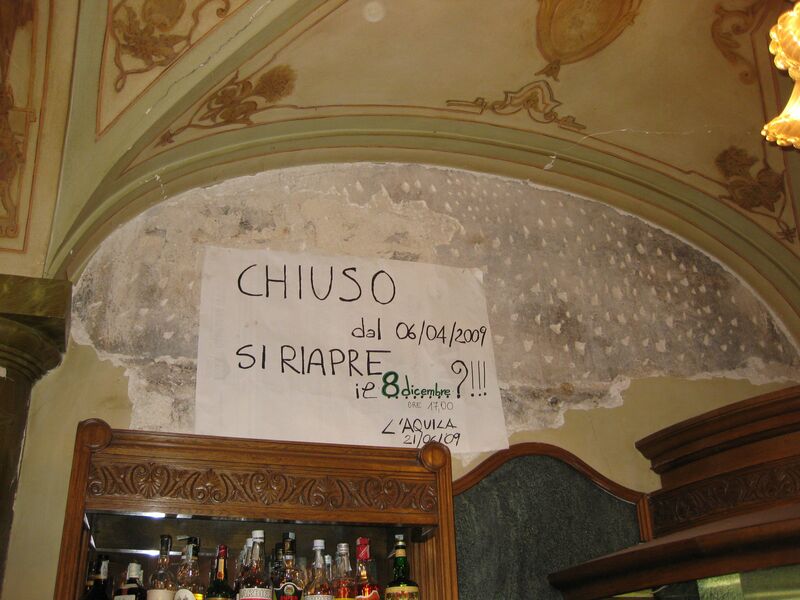 The Hotel Duomo which occupies the floors above the bar remains closed. 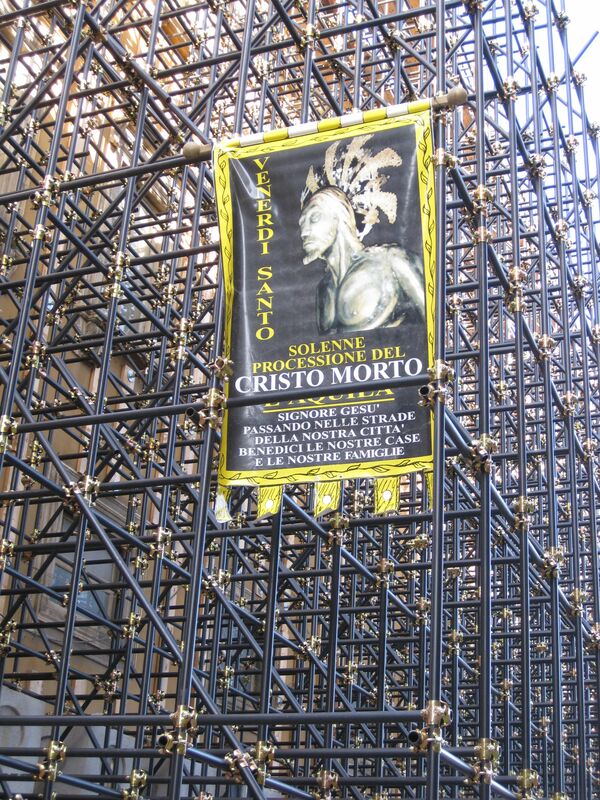 Defiantly attached to scaffolding, banners invited Catholics to process through the city on the traditional Good Friday observance. and what beautiful torrone it is…I was there in 98. My last trip to italy in 2010 did not take in l’Aquila, but ai did visit my mother’s parents home towns of Roseto degli Abruzzi and Morro d’Oro, in the Teramo region. It is wonderful to maintain that connection with our families in Italy and so much easier with Technology. I am trying to travel back every few years, but it’s a long flight from Australia… Well done with your informative blog. Thanks, MLT! That must be some trip for you. Yes, the communication for our generation is almost hard to comprehend, isn’t it. I even found a facebook page for people from my nonno’s village. Piacere!